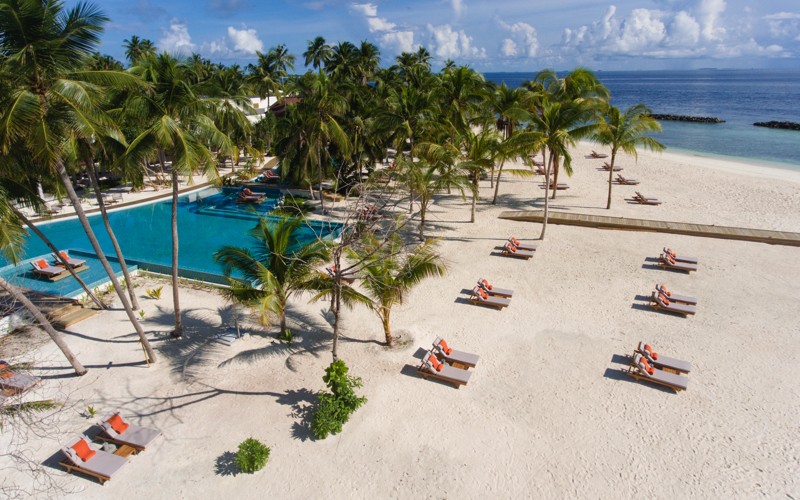 Dhigali Maldives Resort is located in the Raa Atoll. It can be reached by taking a domestic flight and then a speedboat trip from Malé airport, or you can upgrade to a scenic seaplane journey that takes 45 minutes. This luxury 5* resort features Innovation in design, breathtaking scenery and exceptional service creates a truly sublime island holiday. 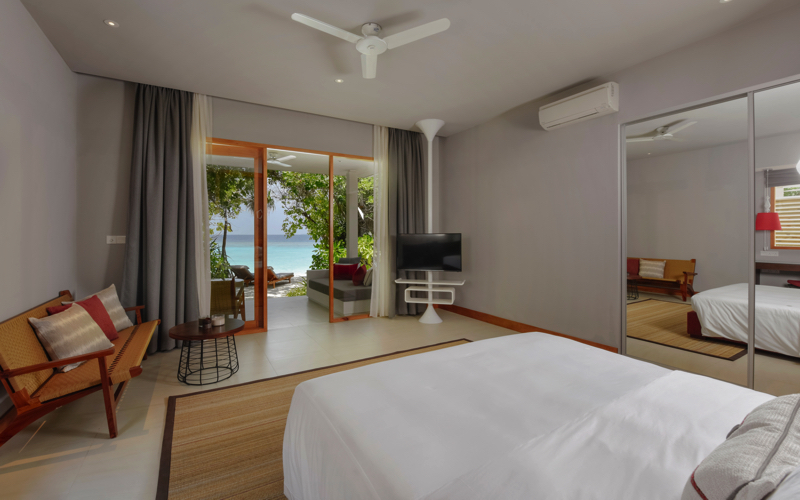 Rooms are modern and you can choose from Beach Bungalow, Deluxe Beach Bungalow, Beach Villa, Beach Villa with Pool, Beach Suite with pool, Water Villa, Lagoon Villa with Pool or the amazing Dhigali Suite, set on the edge of the beach with its own courtyard. Personal butler service, a private bar and home-theatre system. 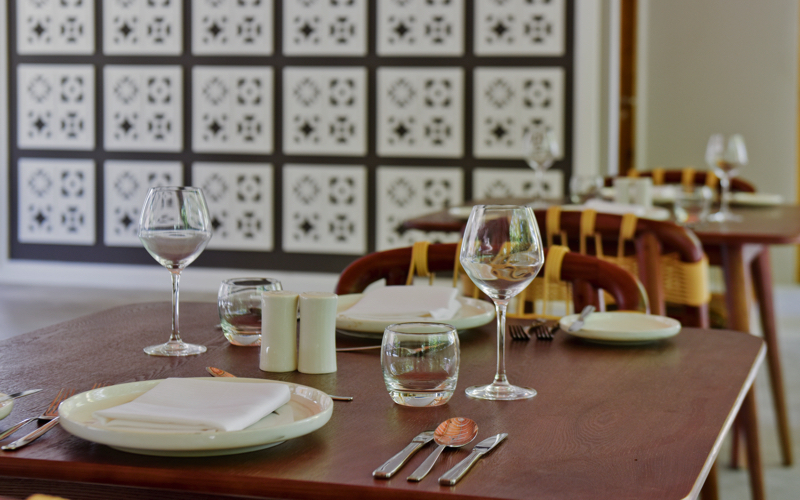 Dhigali Maldives Resort features 5 restaurants and 2 bars and has a focus on authentic flavours and exotic infusions. Capers is the buffet restaurant for breakfast and dinner. Jade offers all day International cuisine. Faru grill serves continental cuisine, grilled meats and fresh succulent seafood. Battuta is the signature restaurant serving up Middle Eastern and Asian flavours. Café is the place for combinations of gourmet cuisine and snacks throughout the day. East bar Dhigali Maldives Resort opens up to views of horizon, whilst providing exotic cocktails, classic premium wines and beer. 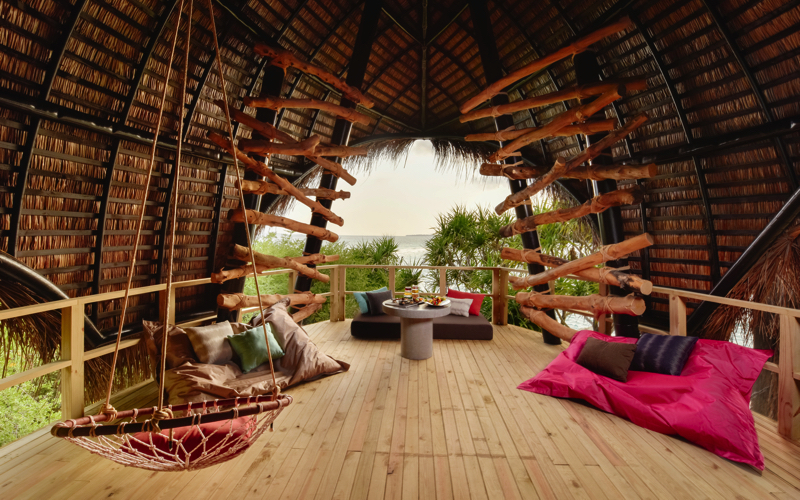 Haali bar is shaped like a bird’s nest and is the perfect place to order a cocktail and watch the sunset. 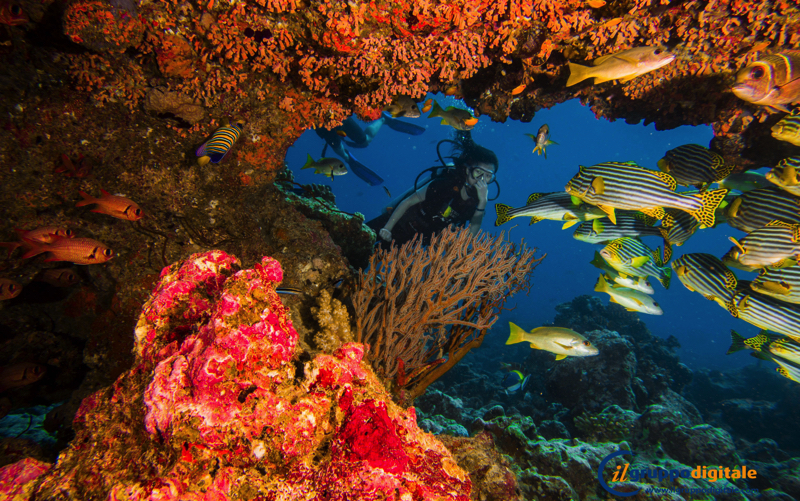 Dhigali has an underwater world for everyone, with excellent diving and snorkeling. There’s a house reef in swimming distance and a lagoon for water-sports. A PADI dive centre runs courses and expeditions into the deep. there are plenty of water-sports to keep you active. Stand-up paddleboarding, kayaking, catamaran sailing and wind-surfing, or relax by the resorts beautiful pool on the beach. Pamper yourself at the Dhigali Spa, in the middle of the island. 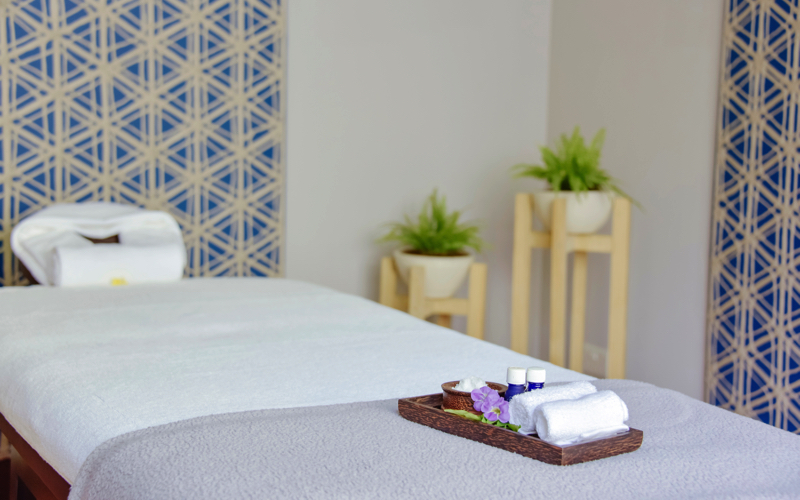 Daybeds and an outdoor pool and 12 modern, minimalist treatment rooms cocoon you in complete peacefulness. Visit the steam room and relaxation lounge, or treat youself with a manicure or pedicure. Promoting balance and wellbeing, group classes are available for yoga. 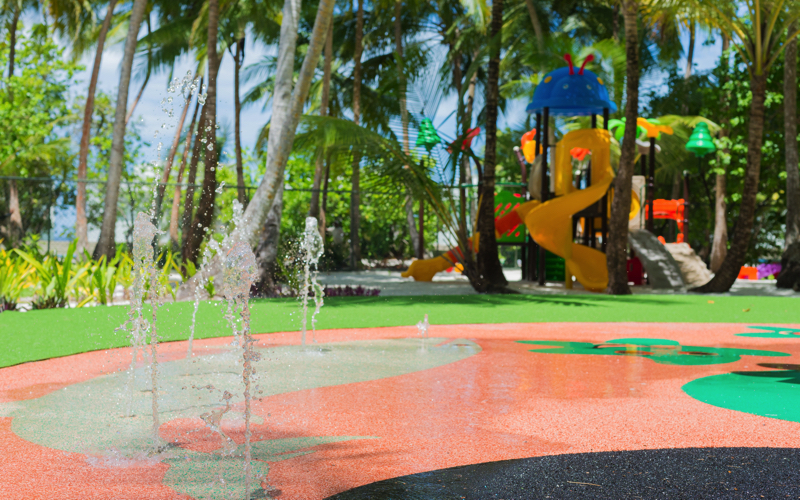 There is a free kids club for younger guests aged 4 to 12 years. The club offers exciting activities and endless discoveries that let them learn and have fun at the same time.